Grown in Shizuoka, Home of Mt. Fuji. 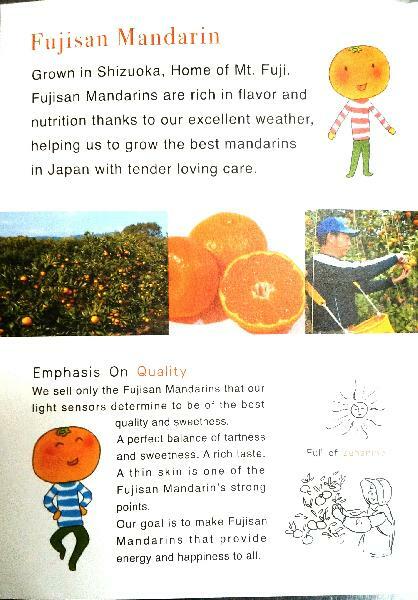 Fujisan mandarin are rich in flavor and nutrition thanks to our excellent weather, helping us to grow the best mandarins in Japan with tender loving care. 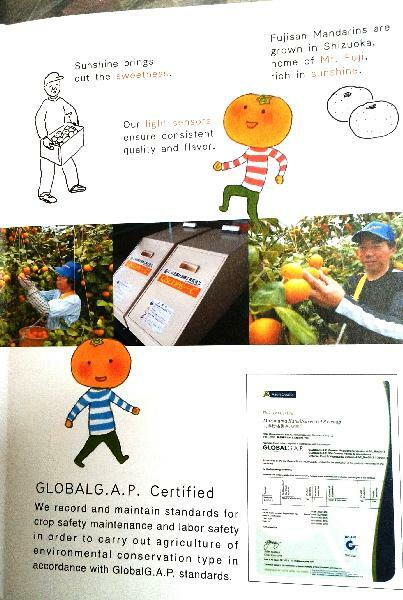 We sell only the Fujisan mandarins that our light sensors determine to be the best quality and sweetness. A perfect balance of tartness and sweetness. A rich taste. A thin skin is one of the Fujisan mandarins strong point. Very easy to peel by hand. It is called table orange. 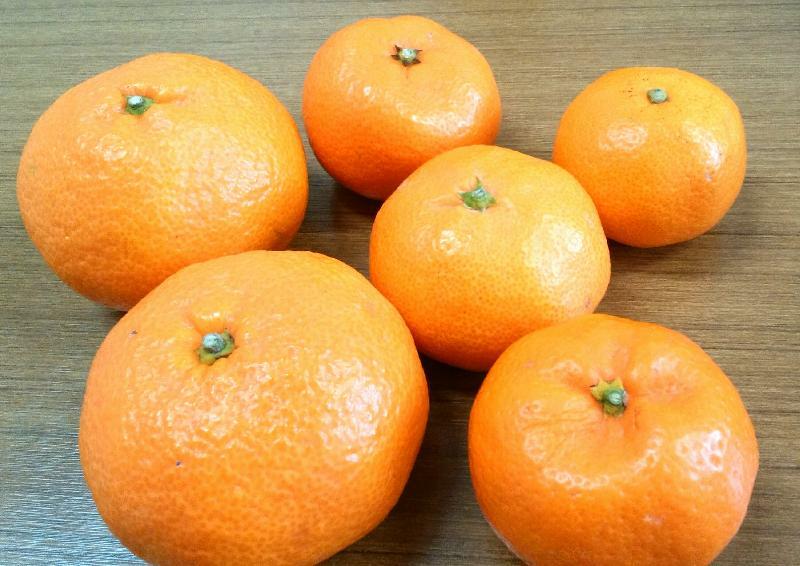 Mandarin Orange are the most popular fruit in Japan. A basket-full of mandarins can always be found on the table in a Japanese household, and family members treat themselves to the fruits as and when their fancy dictates, As the peel comes off easily without having to use a knife, and as each of the segments within is covered by a delicate skin, there is no danger of messing one's fingers. To add to this Japanese mandarins have on pips, have a Fujisan mandarin. 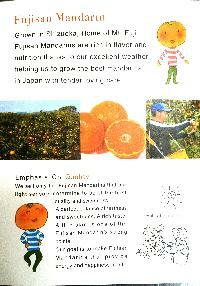 Our goal is made Fujisan mandarins that provide energy and happiness to all.